Originally from an Art & Design background I spent many years immersed in the world of fine art sculpture and philosophy, eventually obtaining my Ph.D in Fine Art and French Feminist Philosophy in 2002. During this time Yoga was always in the back of my mind as something I wanted to ‘do’ someday. Having suffered for years with dislocation of the shoulder joint and subsequent surgery I was fearful of most forms of exercise, but recognised that the limited range of shoulder movement, stiffness and pain i experienced on a daily basis was not going to get any better on it’s own. I knew I needed to do something! So when 10 years ago amidst work, babies and small children I noticed a local class I had to give it a go. Immediately my aches and pains and general lopsidedness improved and I felt a deep sense of calm. There was no turning back and 6 years later I embarked on both an Intensive Training Course in the sensory based movement practice of Nia and a BWYQ Level 4 Diploma in Teaching Yoga (500hrs). In 2017 I also qualified as a Somatics Exercise Coach studying with Lisa Peterson and I bring the skills of Somatics into much of my work. Now rather than something I ‘do’, Yoga and Nia are how I live my life and I cannot imagine a time without them. I believe the practices of Yoga and Nia are for every ‘body, whatever age, condition or ability. Yoga and Nia has given me so much more than just relief of shoulder pain and stiffness. They have given me tools to bring more balance, flexibility, strength and peace to my body, mind and emotions. Both mindful movement practices open up a unique and individual ‘safe space’ that I can call my own; a space in which I can let go and have the freedom to explore, play, release, breathe, relax and be still regardless of what is occurring in my external world. Whether through Yoga or Nia focusing on moving with awareness, intent and inquiry can unravel years of entrenched patterns within the body and has the power to creatively shape the way we feel, look, think and live. 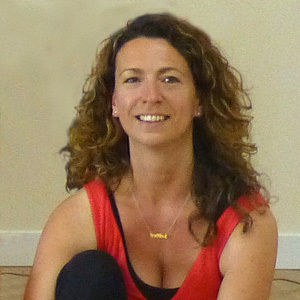 Now fully qualified as a Nia White Belt Teacher and a British Wheel of Yoga Teacher I am happily offering you the unique opportunity to improve the quality of your life and health in mind and body by stepping into your own nourishing and exhilarating somatic journey with me!